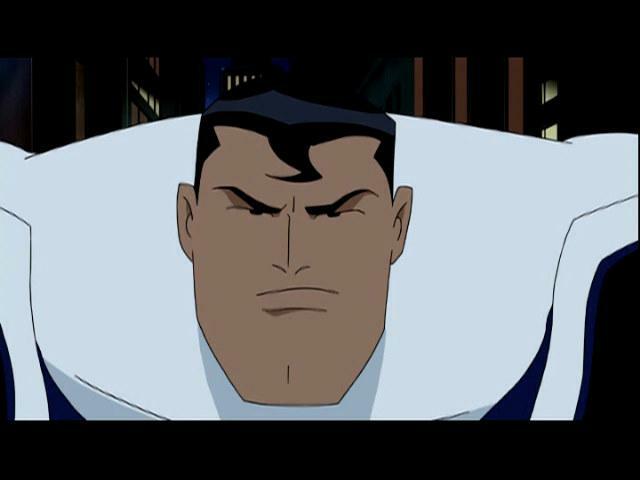 First Appearance: "A Better World"
Bio: After the events of Luthor's latest action takes its toll, Superman finally delivers the final blow he'd been holding out on giving him for so long. 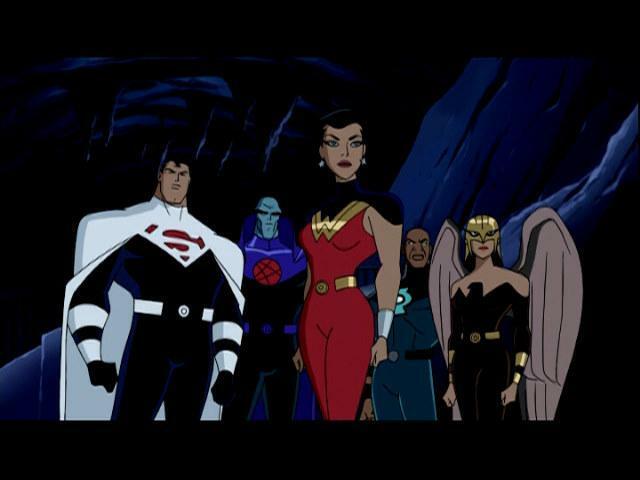 From that point on, the Justice League was gone--and was replaced with a meaner and stricter group of Leaguers, now known as the Justice Lord's. 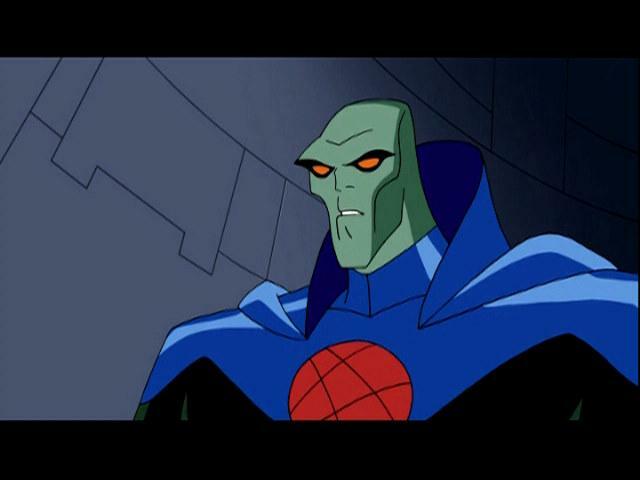 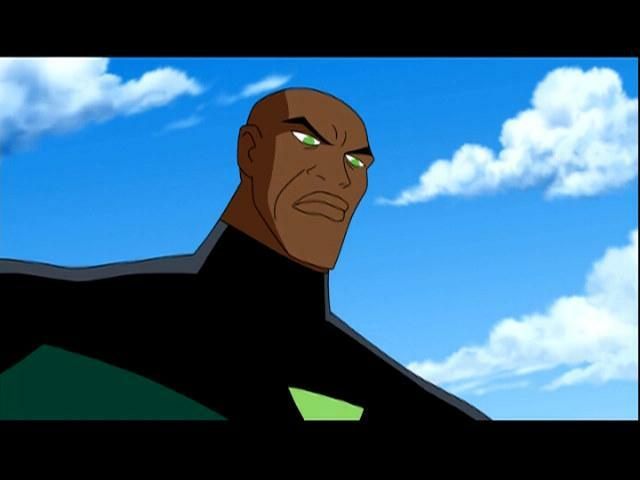 Upon reforming the entire world so it's as law-abiding as they can possibly make it, they find out that another dimension occurs--one where Luthor lives and the Justice League have yet to stop him. 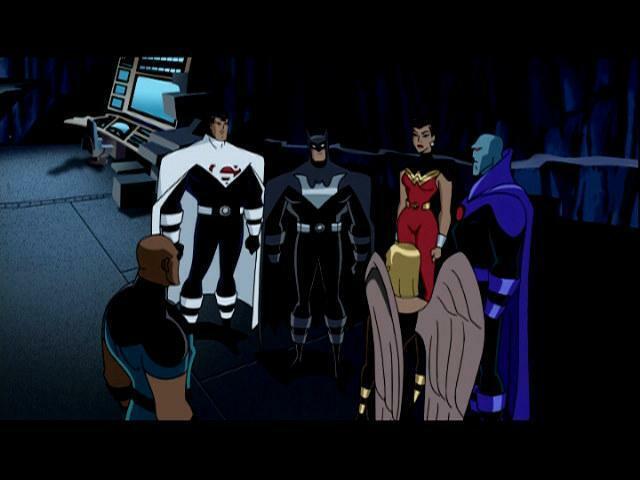 The Justice Lord's move into the other dimension, via a inter-dimensional device Batman created, and tricked the League into coming back to their realm to fix a failing portal device. 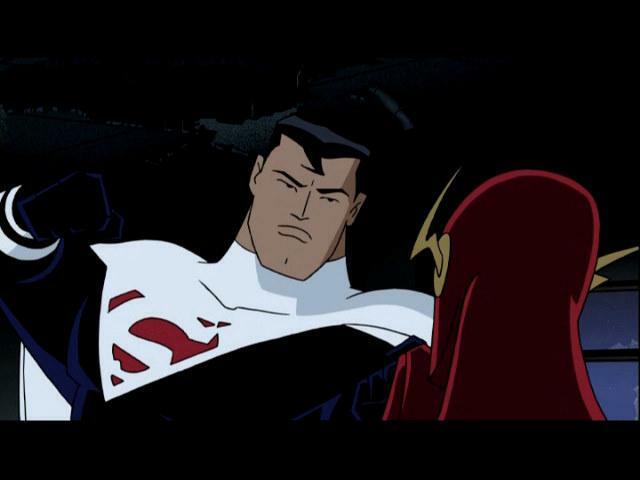 With the two dimensions at stake of collapsing into one another, the League has no choice but to believe them. 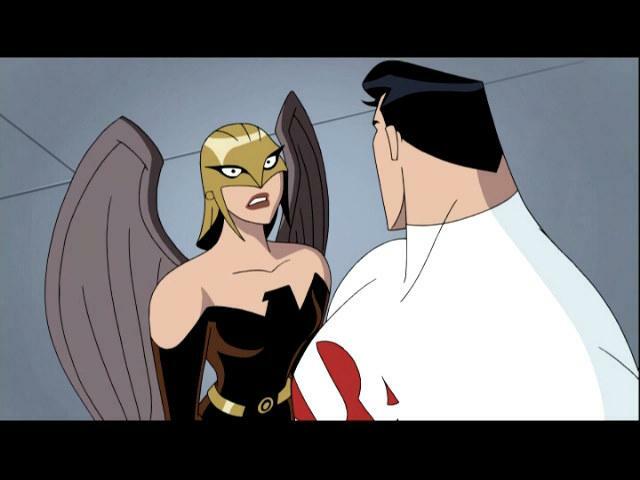 What they find when they walk back with them is a trap--a trap they cannot escape, as the Lords know their every move and when and how they'll make it. 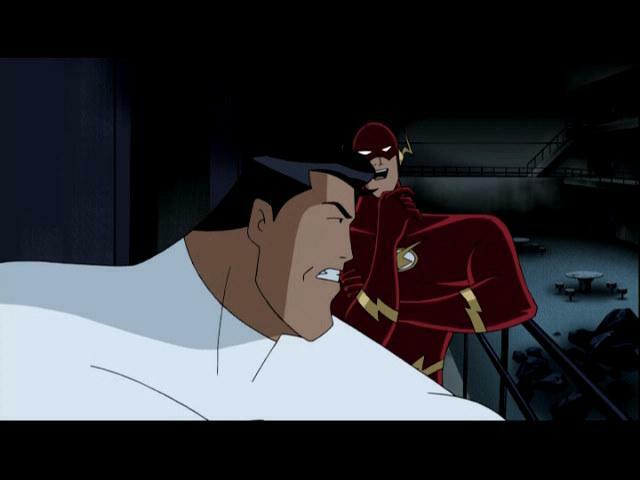 Upon Flash "flatlining" inside his cell, the Lord's Batman comes down to free him--only to find Flash faking it and being trapped in the process. 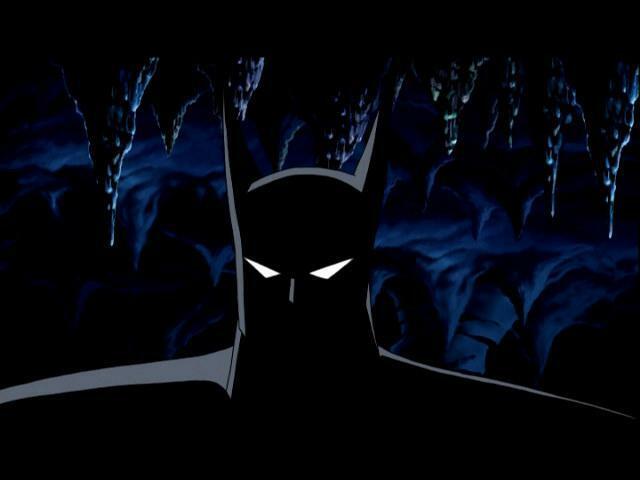 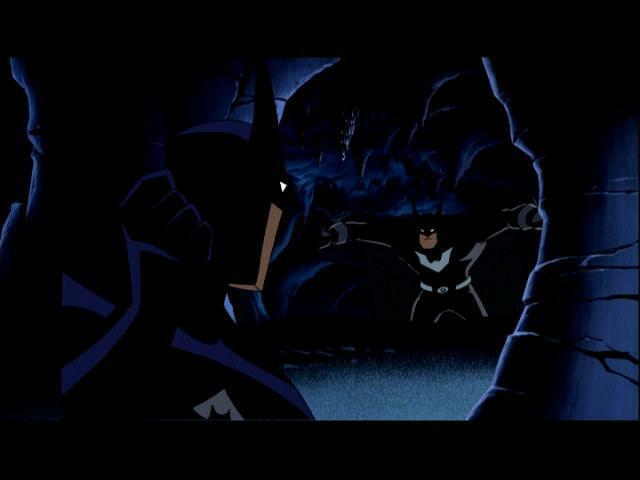 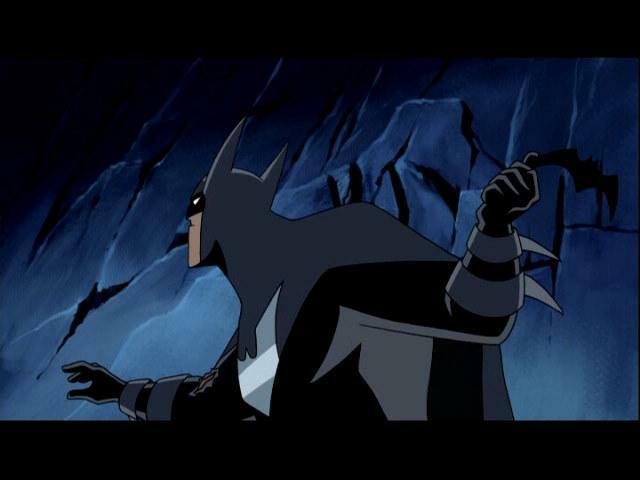 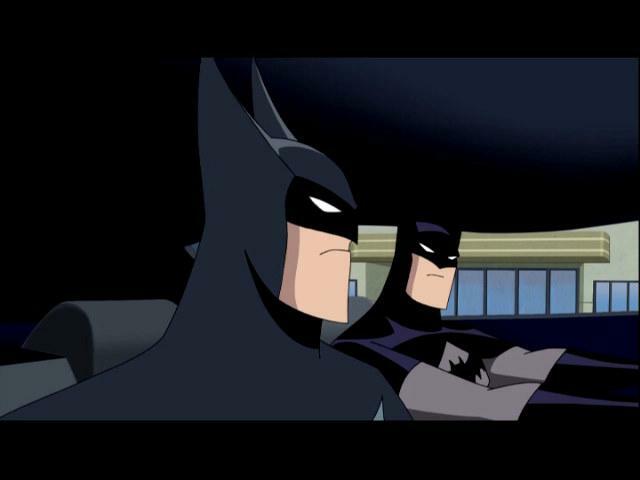 He frees the other members and they escape--but Batman has other plans. 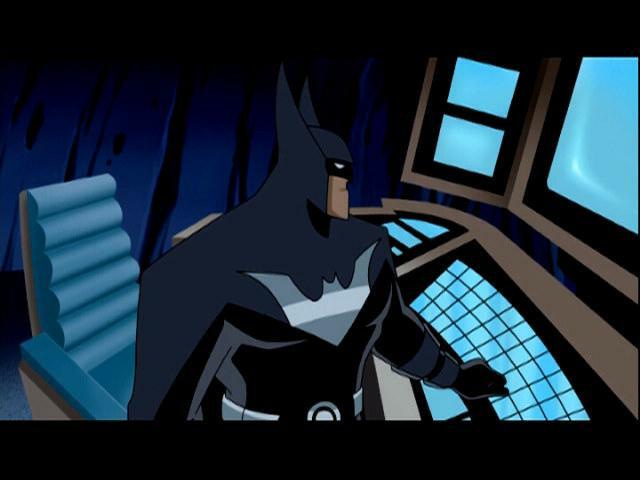 He heads for the batcave and, there, upon meeting up with the Lord's Batman (freshly escaped from his own devices) they talk more than fight it out--finding out what goes on between the worlds. 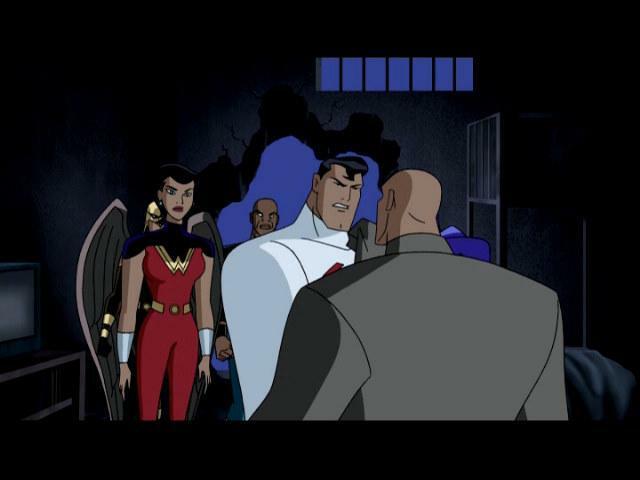 The Justice Lord's Batman is finally convinced that the dictatorship that they've set up has taken out all the freedoms the people once had--and, in turn, he turns his back on the rest of the Lords and sets up a trap, sending them back to their own dimension. 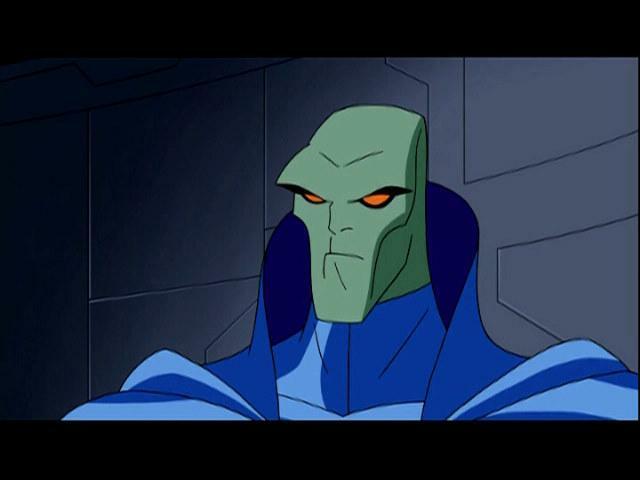 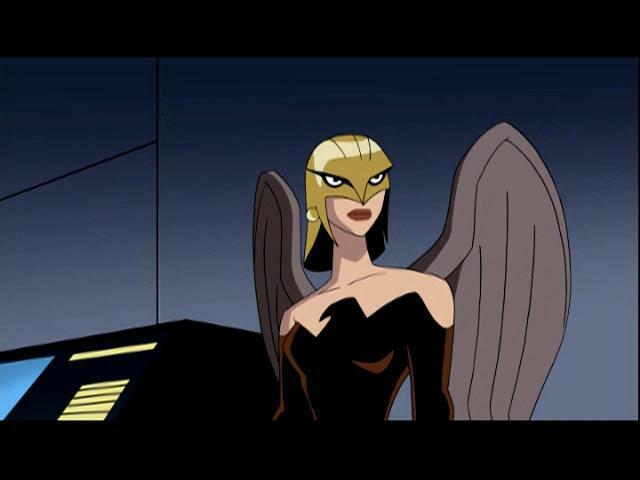 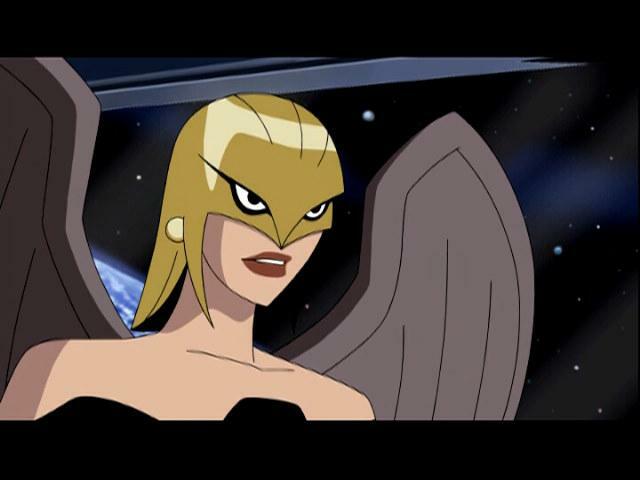 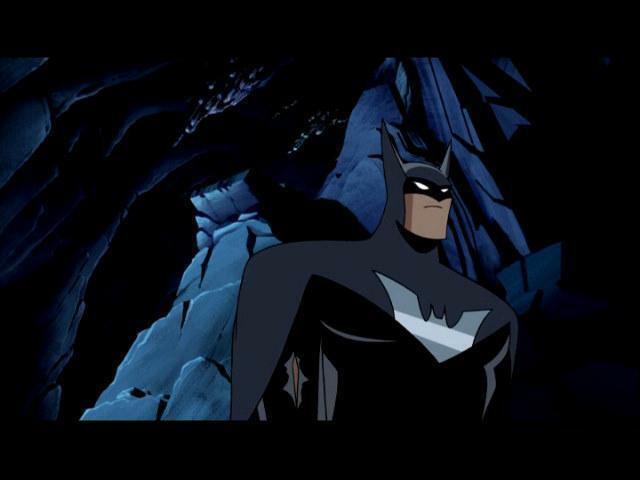 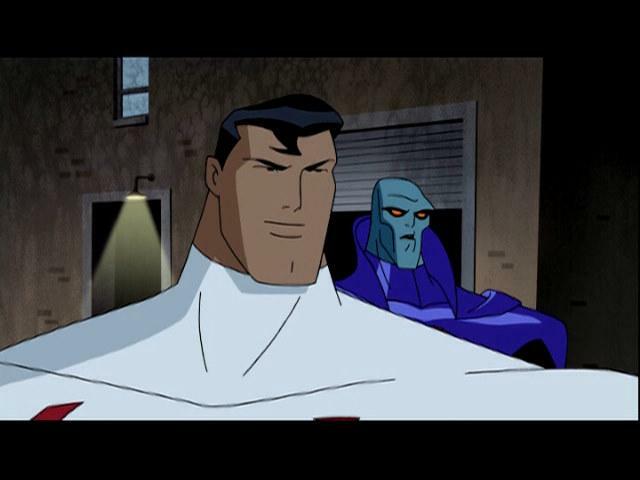 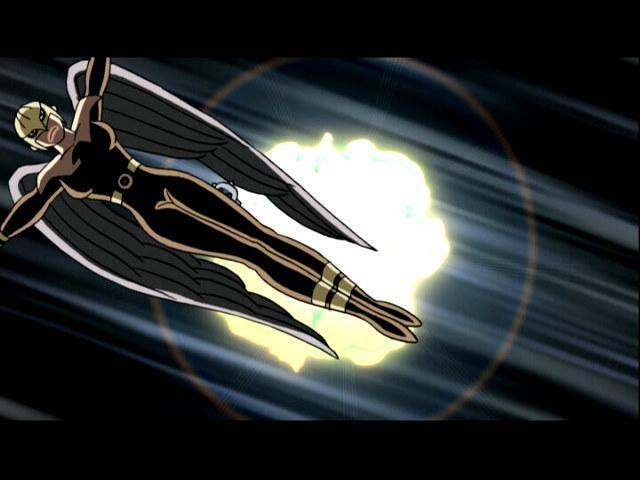 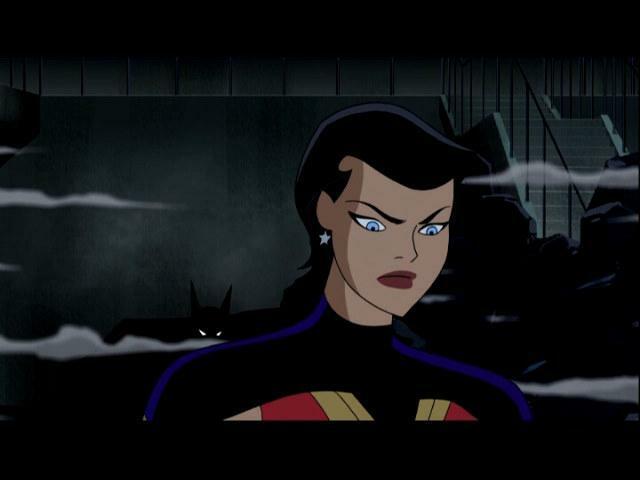 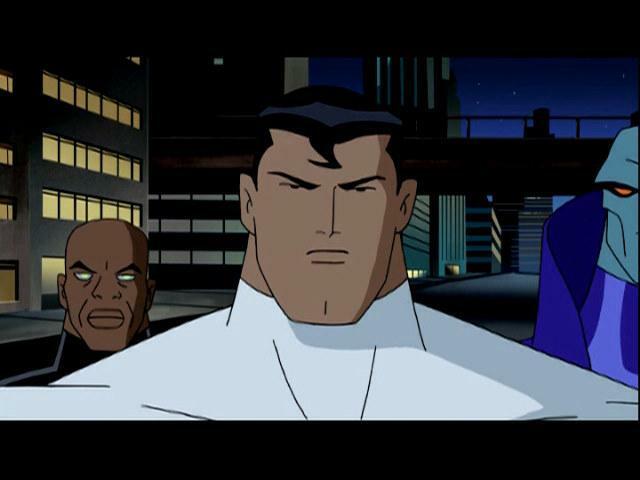 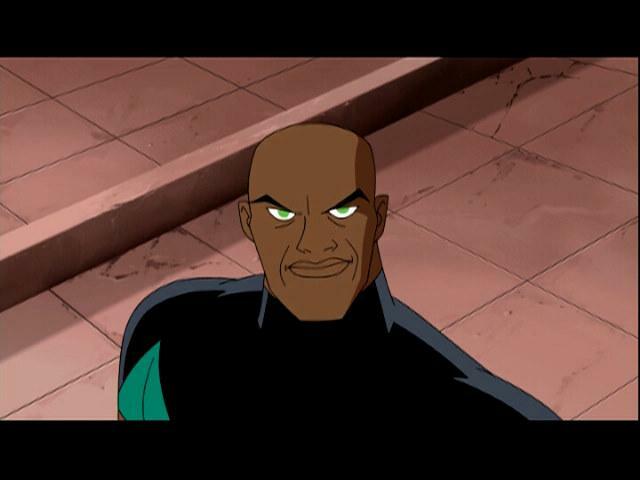 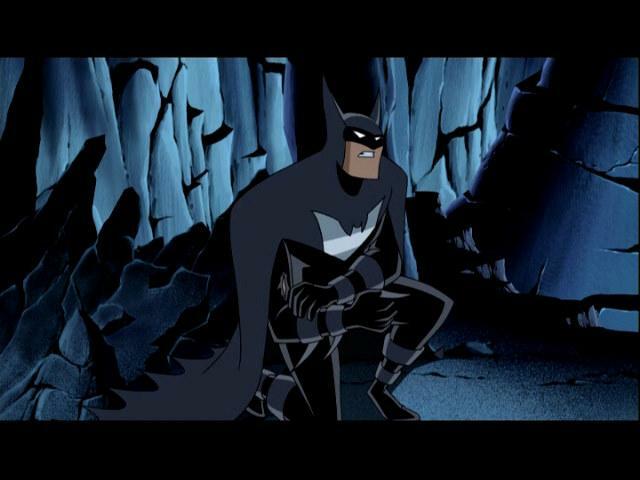 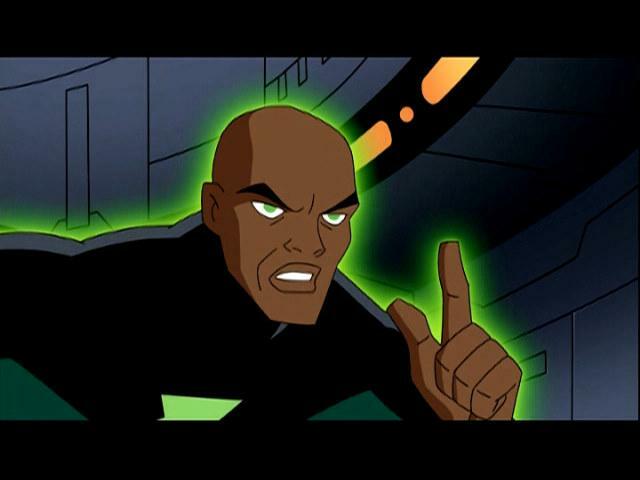 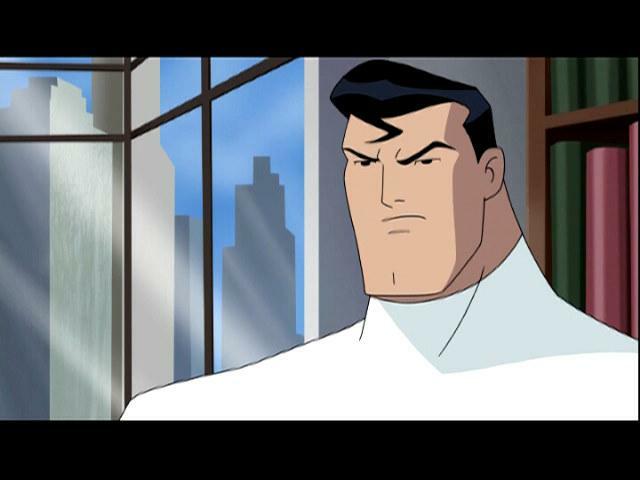 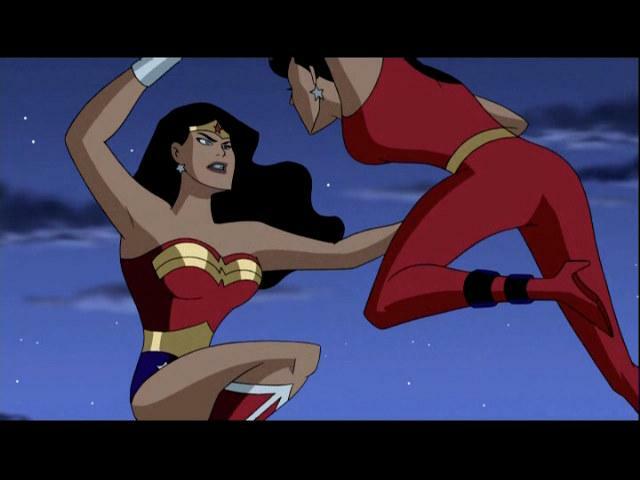 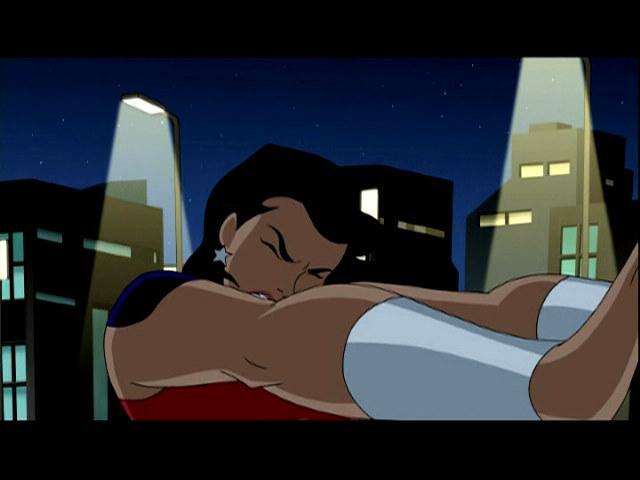 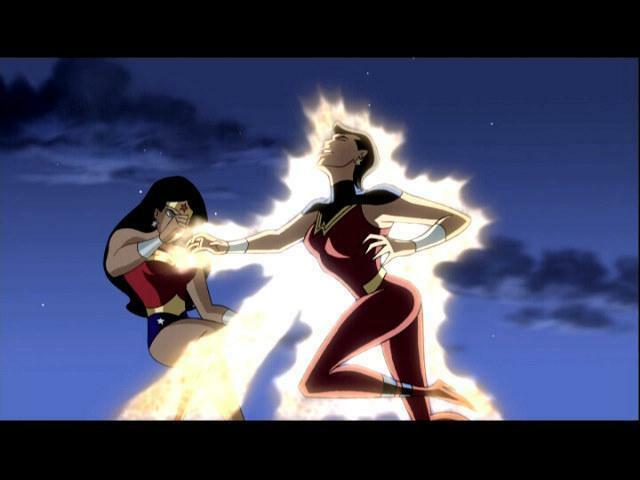 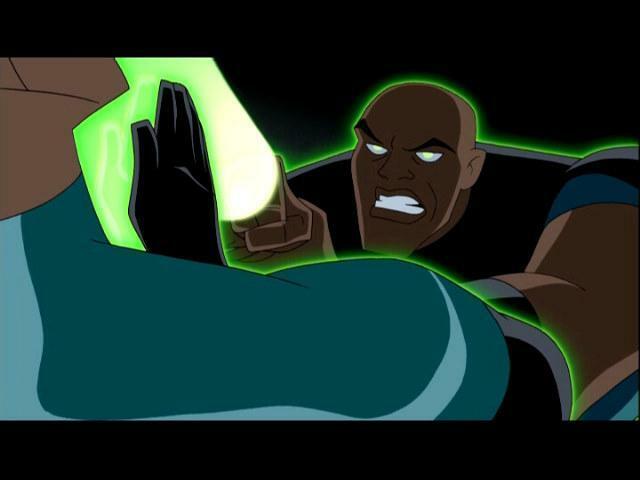 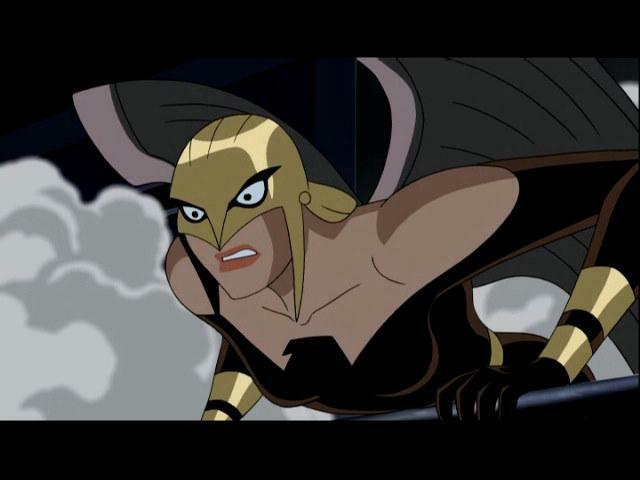 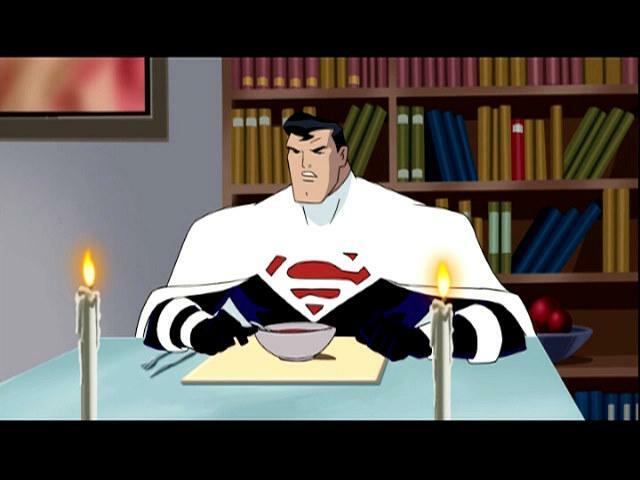 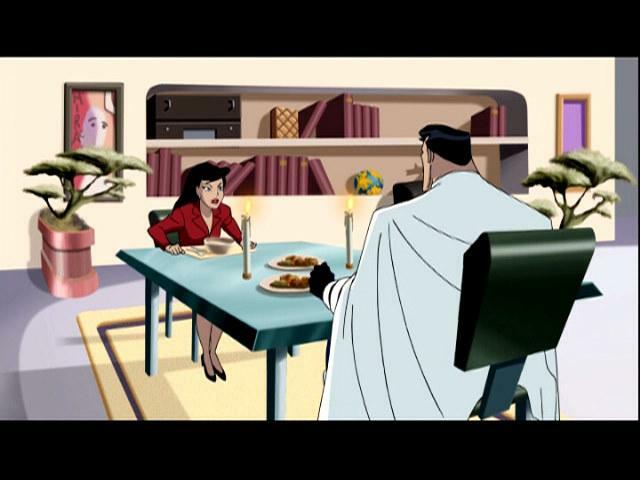 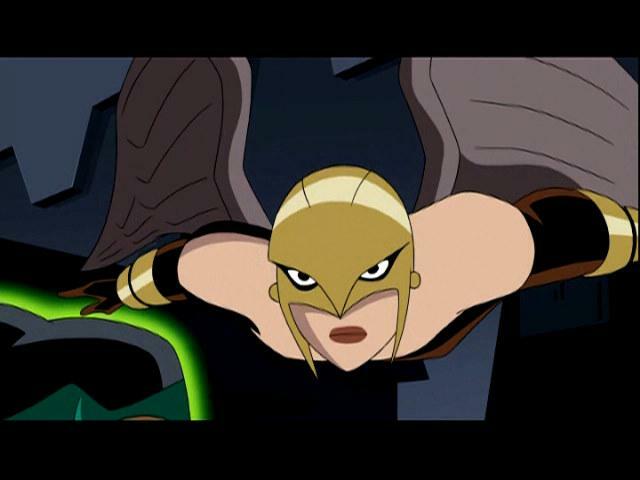 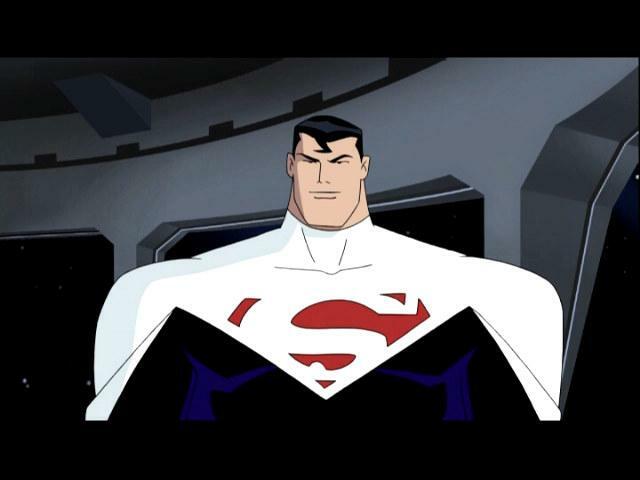 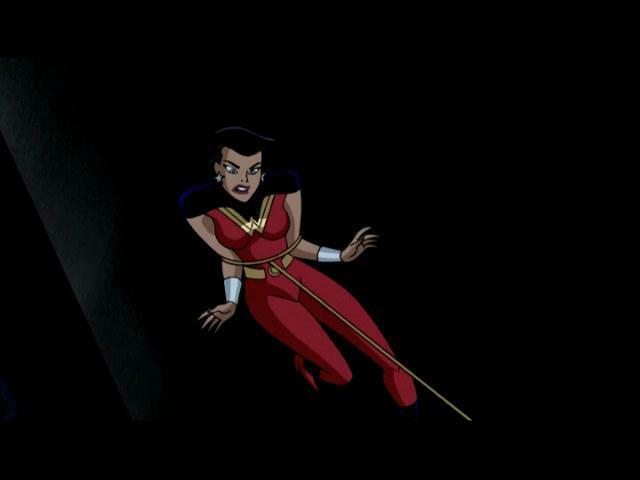 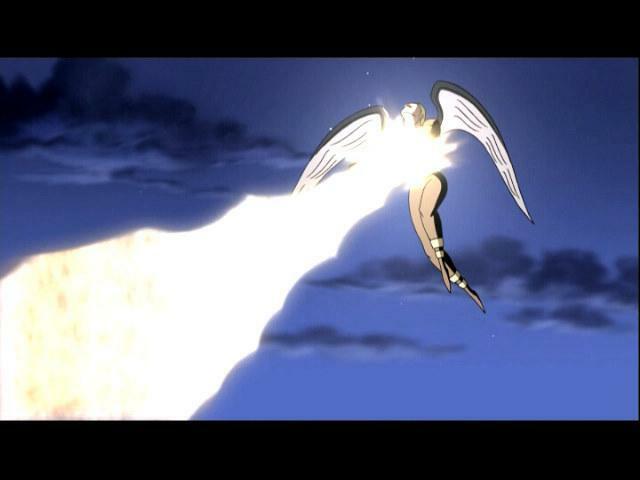 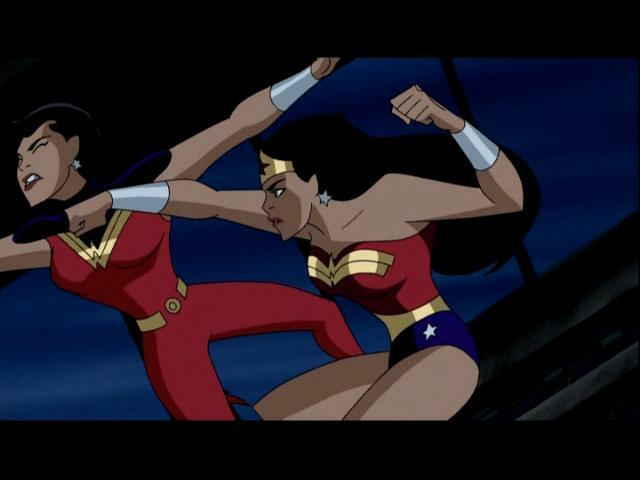 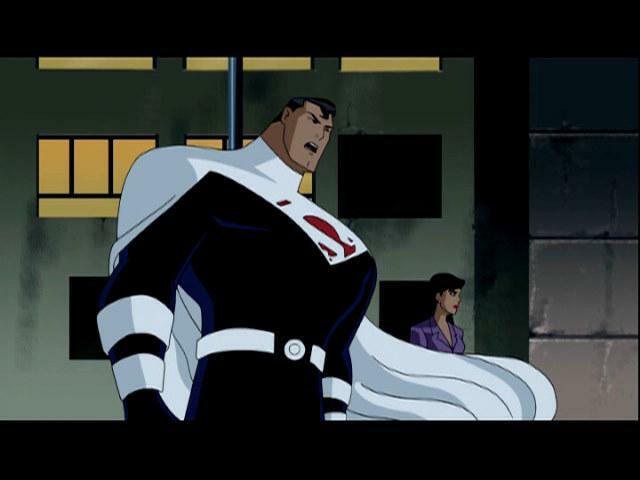 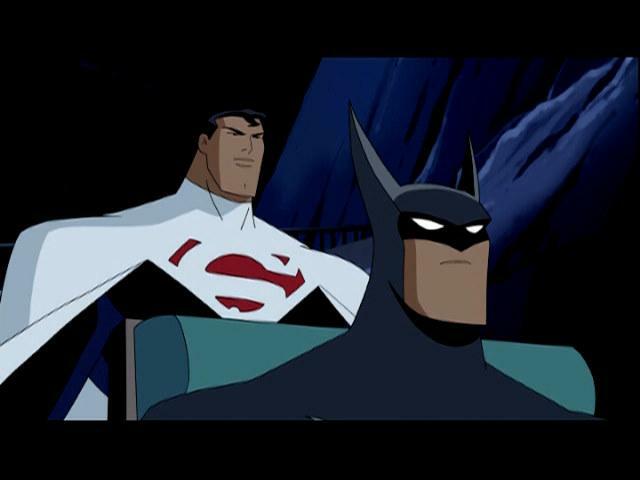 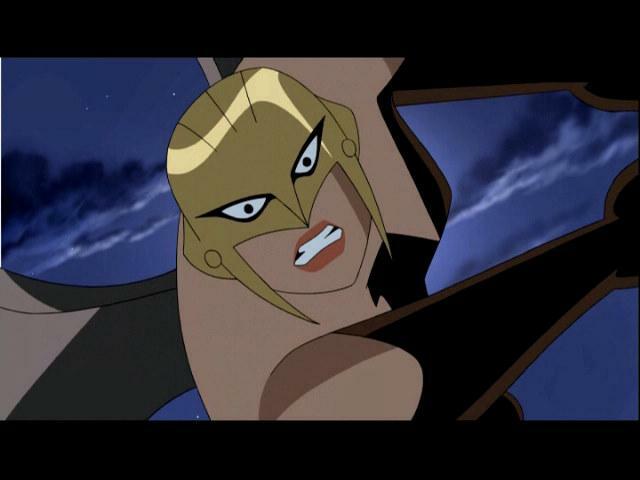 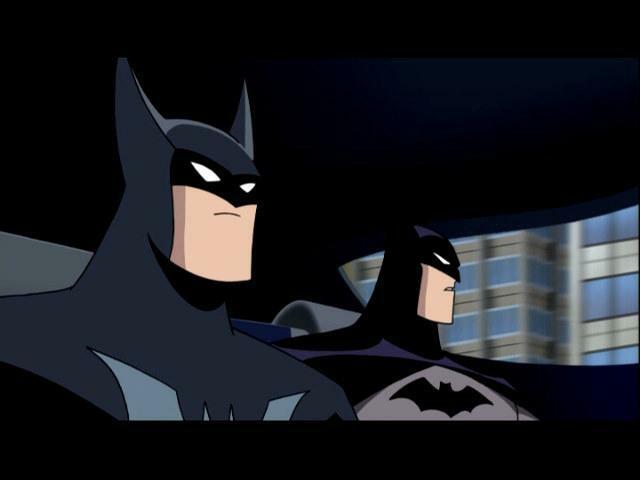 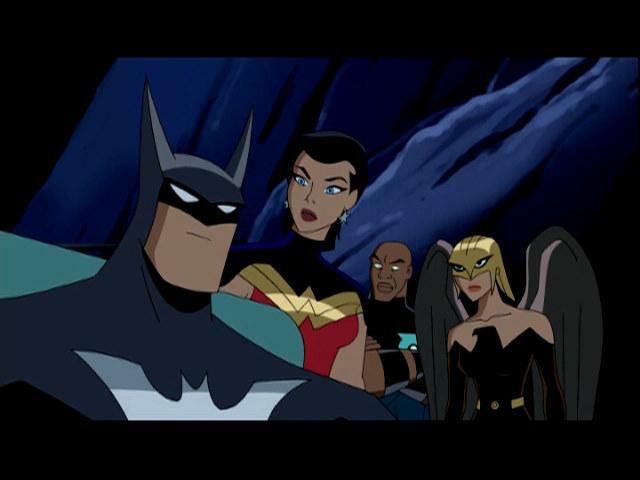 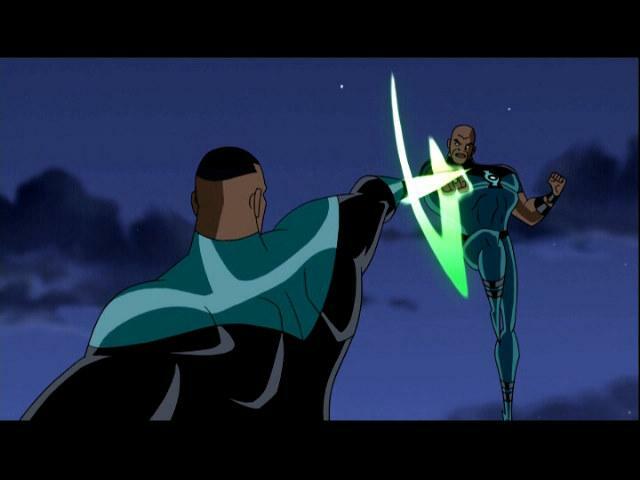 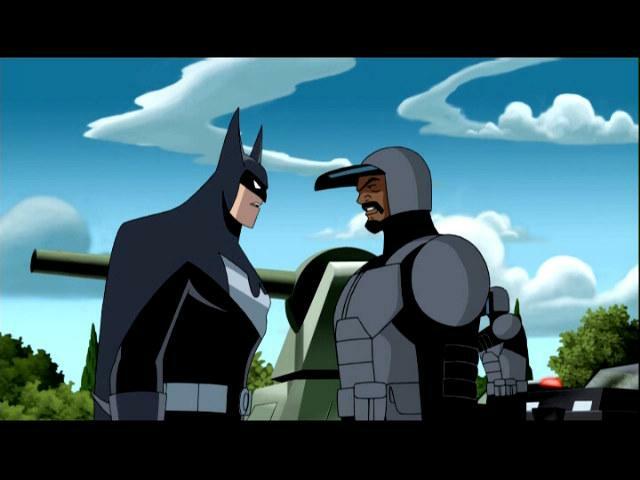 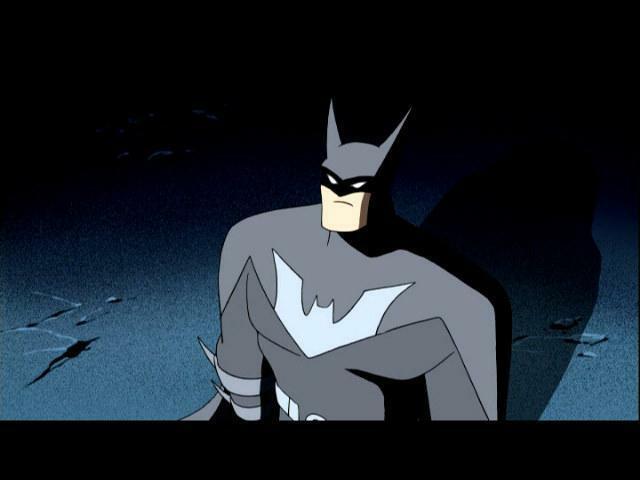 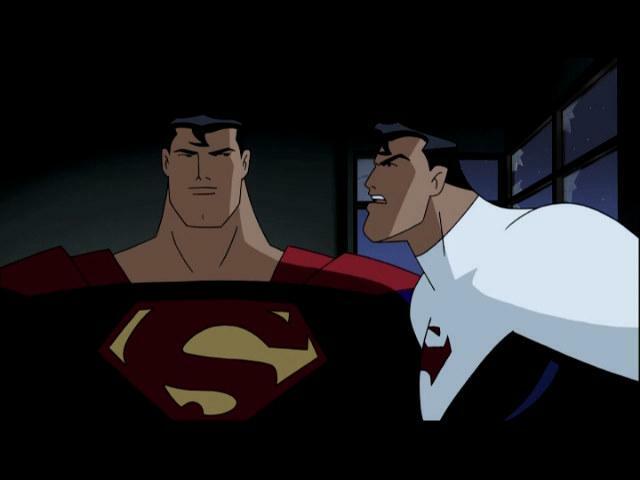 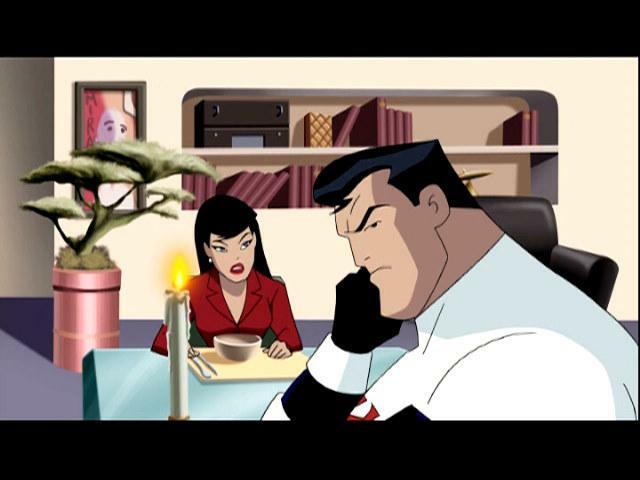 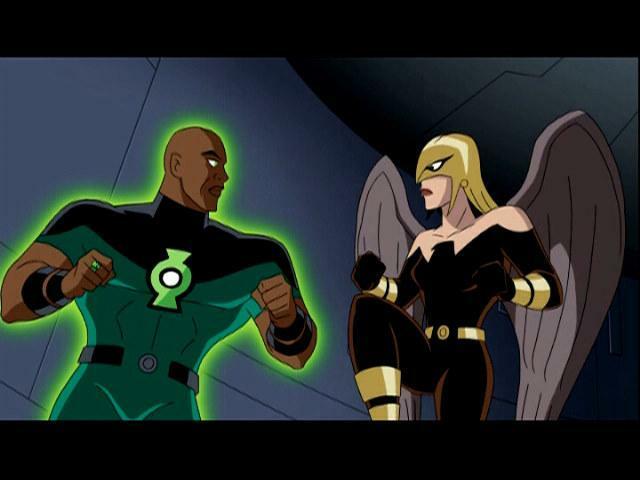 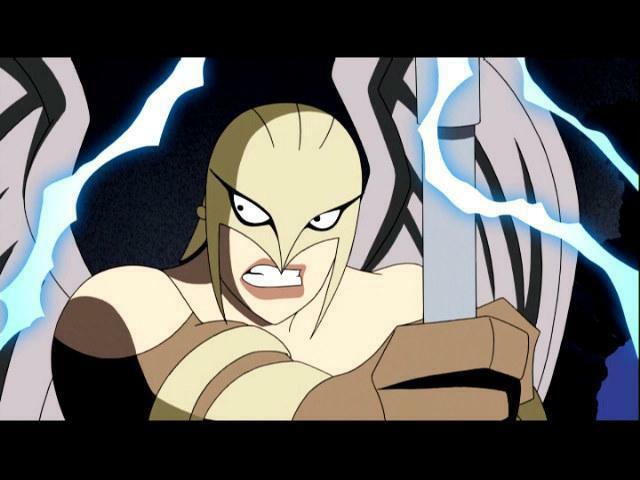 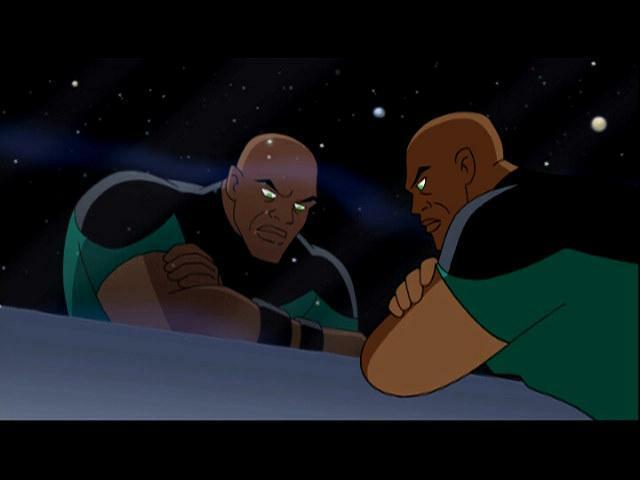 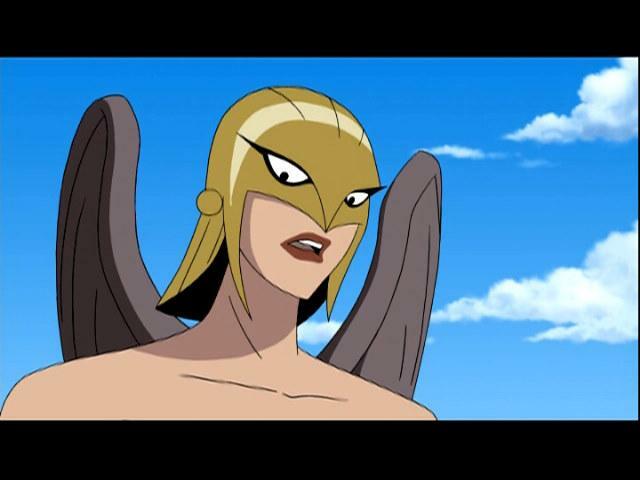 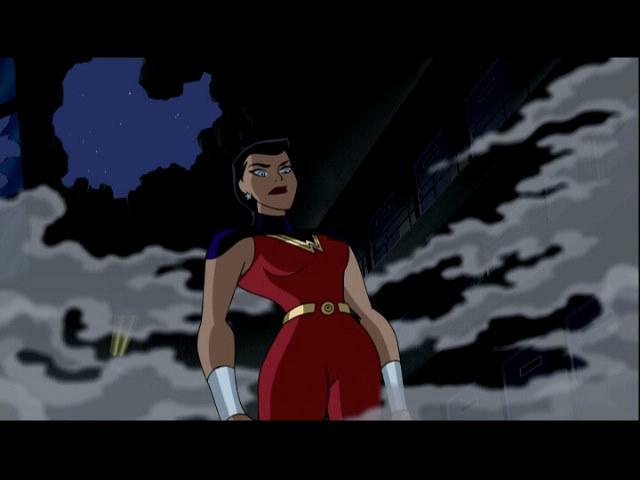 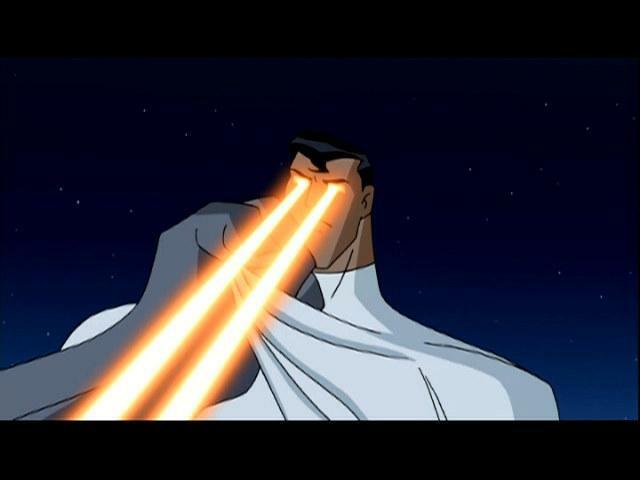 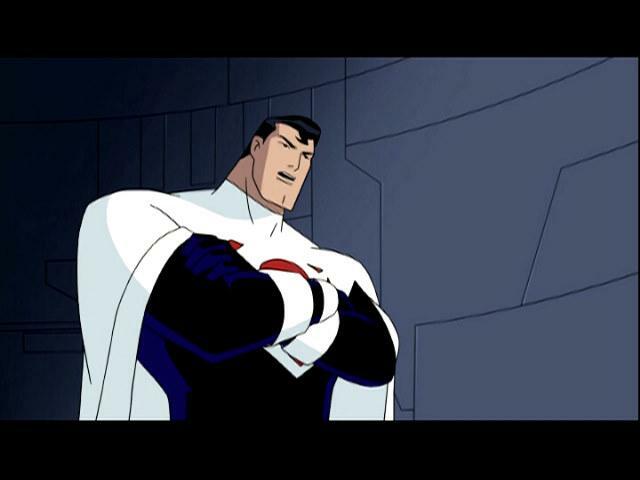 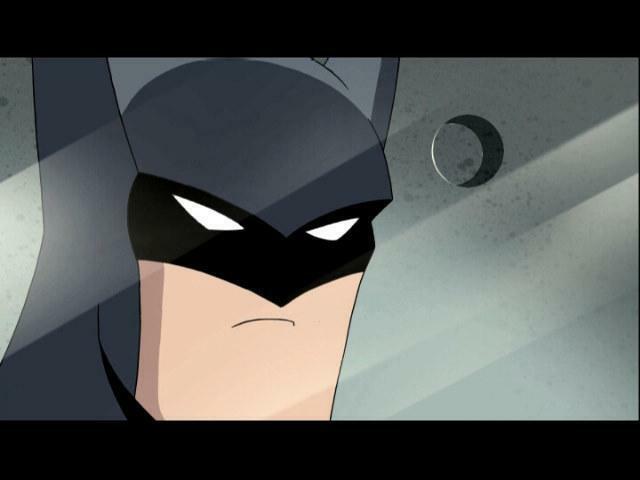 For more on Static, refer to the Justice League Unlimited bio.